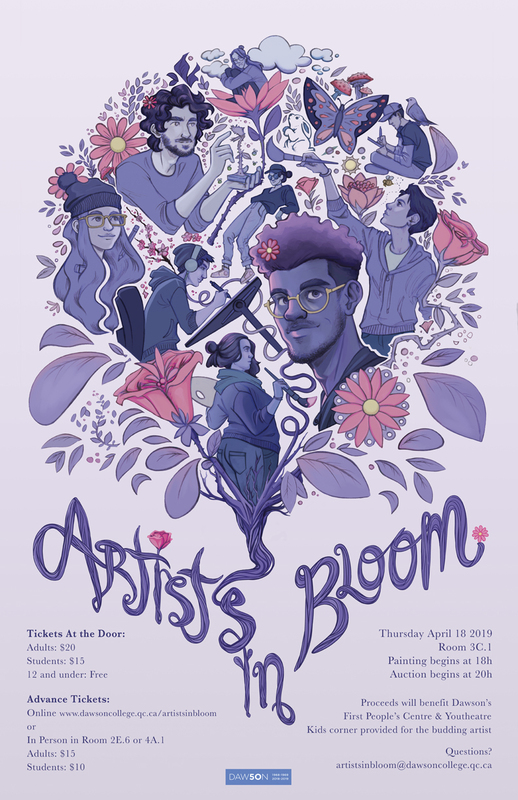 Artists in Bloom is an annual event held at Dawson College through which the Blue Ring Society, the ambassador organization of Dawson students, raises funds for a charitable cause. Over the past 20 years, the event has raised around $140,000 for a variety of causes. This year all the funds raised will go towards the Dawson College First People’s Initiative and Youtheatre.